It is impossible to ignore that Zimbabwe is facing a crisis. We drive west from Bulawayo on a paved road that, over the course of a few hours, becomes cracked and pockmarked before dissolving entirely into a dirt track. Eventually the dirt track disappears and we are driving on a dusty path, the branches of mopane trees scraping our windows as we go. We pass field after field of dead and stunted maize, millet and sorghum. 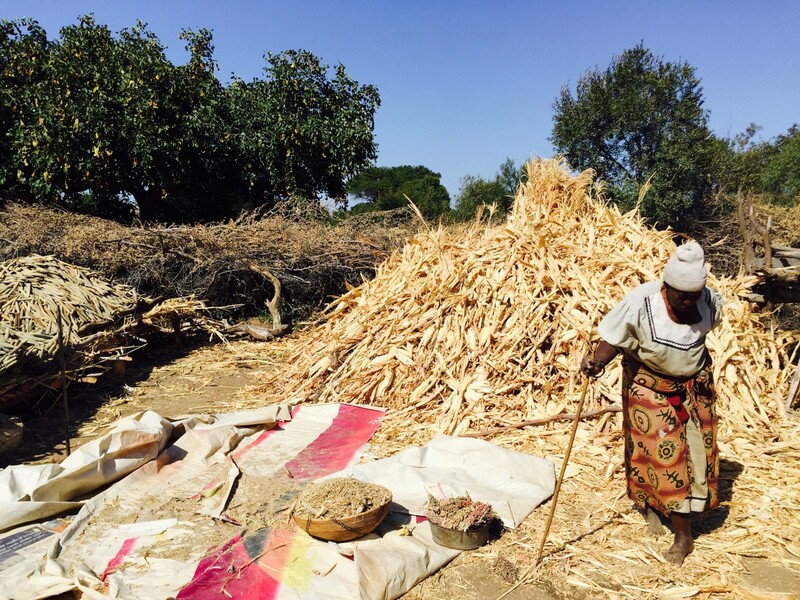 Due to a devastating drought associated with El Niño, the southern African nation is reeling. And it is all the worse given that this is the country’s second consecutive season of poor rains and failed harvests. The U.N. believes upwards of 50 percent of all rural populations — up to 4.4 million people — may be food insecure by next January-April. By comparison, one year ago, just 2 percent of the population was deemed food insecure and humanitarian response programming was almost negligible. Mtshina village, a poor community of San people who are traditionally nomadic hunter-gatherers, is located in the most severely affected part of the country, and is currently struggling with the dire consequences of these shocks. The Amalima Development Food Assistance Program is providing needed support to the village in this difficult time. Launched in 2013, the five-year, $43.4 million activity is funded through USAID’s Office of Food for Peace. 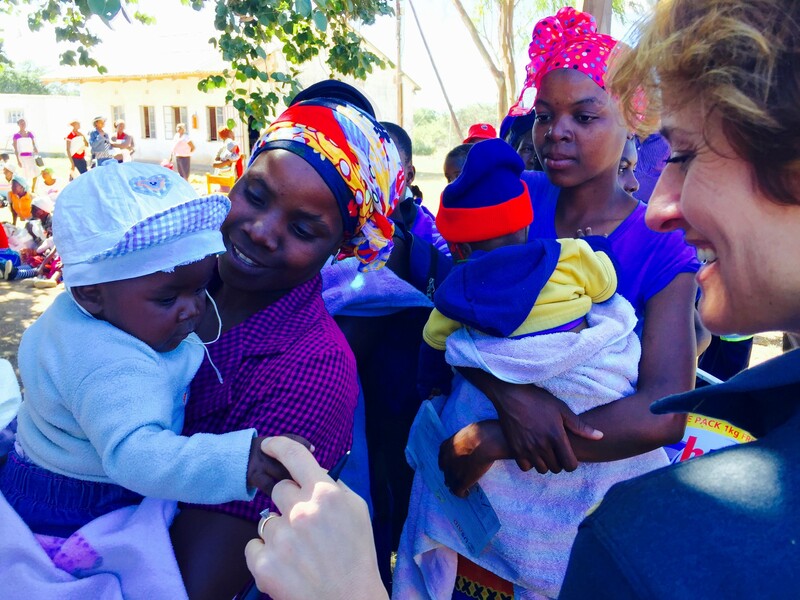 Implemented by a consortium led by Cultivating New Frontiers in Agriculture, the program targets more than 284,000 people in Zimbabwe, including the San in Mtshina village. Amalima engages with communities to identify community-led approaches and priority activities that will help them improve drought mitigation and adaptation practices, increase their agricultural productivity, increase their income by bringing goods to market, and enhance nutrition practices. The program draws its name from the Ndebele word for the social contract by which families help each other in productive activities such as cultivating land, tending livestock, and building community assets such as revitalized pasture, improved dams and village gardens. Despite obvious hardship, the community members I met were optimistic. A community garden provides desperately needed grain and vegetables. Membership in village savings activities is strong. The community turned inward to harness their social capital as well as our tools of assistance. 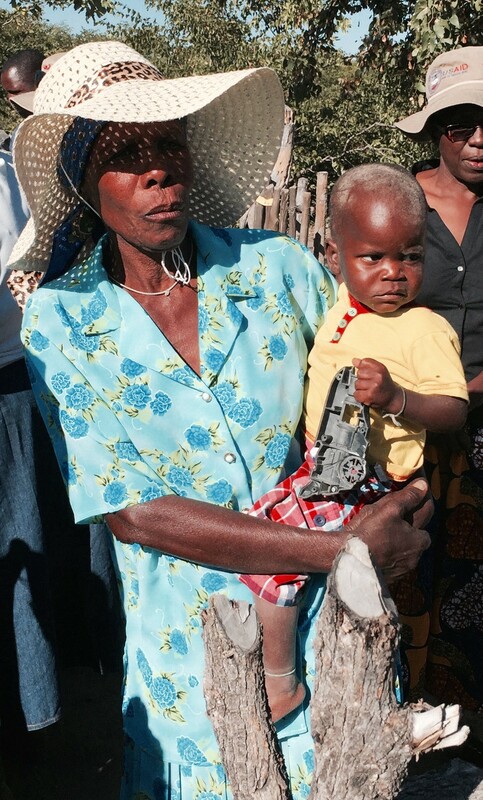 We visited the home of Anna Dumane, a grandmother raising her grandchildren because their parents had migrated elsewhere for work, a common story among Zimbabwe’s ultra-poor. Despite adopting a number of conservation agriculture practices promoted by Amalima, her harvest was lacking. Just as the village was adapting to cope with consecutive weather shocks, the Amalima program adapted as well. Rather than start to graduate beneficiaries — the original plan for year four of implementation — USAID decided to continue supporting the involved communities, and also added an additional family ration to ensure that pregnant and lactating women and children under 2 would not have to share their specialized foods meant to prevent malnutrition. In addition, the program shifted temporarily from a “cash for asset” to “food for assets” approach, meaning that individuals working on community projects were paid with food rather than money. This decision was made based on discussions with communities and context analysis, which showed that both reduced food in remote markets, and high prices were making cash the less preferred choice. This visit was a reminder that resilience programming often occurs in uncertain and deteriorating environments, and our programs, like the communities we work with, must adapt quickly and appropriately. This program is part of a blend of resilience-building humanitarian and development programs that USAID is supporting in El Niño-affected countries around the world. USAID expects that its global El Niño response will top $1 billion this year. Yes, it is a bad year for the village of Mtshina, but the Amalima program is there to support them, to ensure they do not lose the hard won development gains they have achieved for themselves. We are there to help them maximize their greatest resource — each other — and to help them plant the seeds for the future. A future that is one rainy season away. Dina Esposito is USAID’s Acting Deputy Assistant Administrator for Democracy, Conflict, and Humanitarian Assistance. Follow Dina @DEsposito_FFP. Director of @USAIDFFP (Food for Peace). Celebrating more than 60 yrs of fighting global hunger. 3+ billion lives touched so far! Ending extreme poverty in this generation.